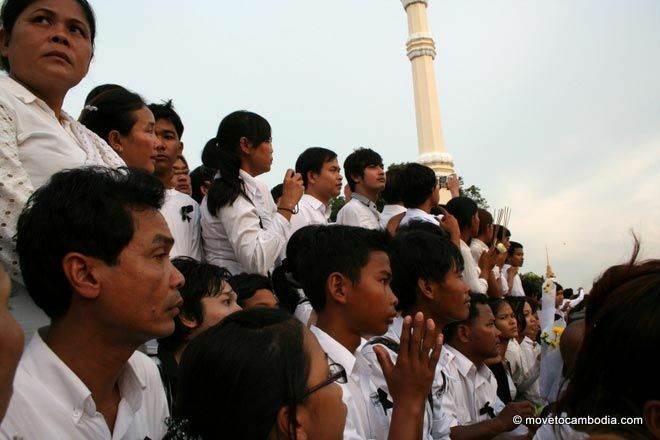 Phnom Penh residents dressed in white (the Cambodian color of mourning) gather at the Royal Palace on Wednesday to grieve and see the body of their King Father, Norodom Sihanouk, return from Beijing. Here are some photographs from the crowd. A young boy waits for hours to see King Father Norodom Sihanouk’s casket return to Phnom Penh. 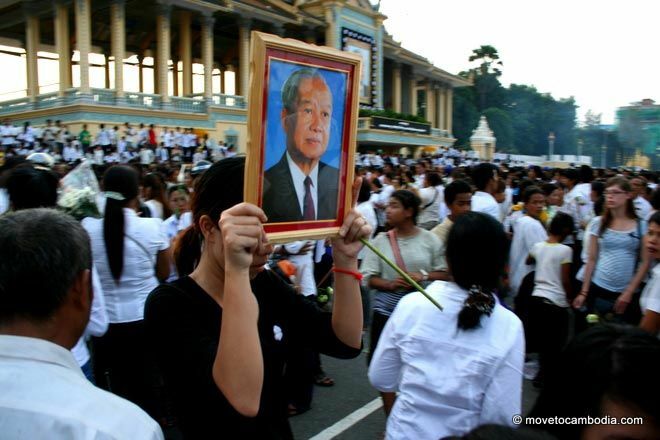 Many in the crowd carried framed photographs of the King Father and others wore homemade Norodom Sihanouk shirts. 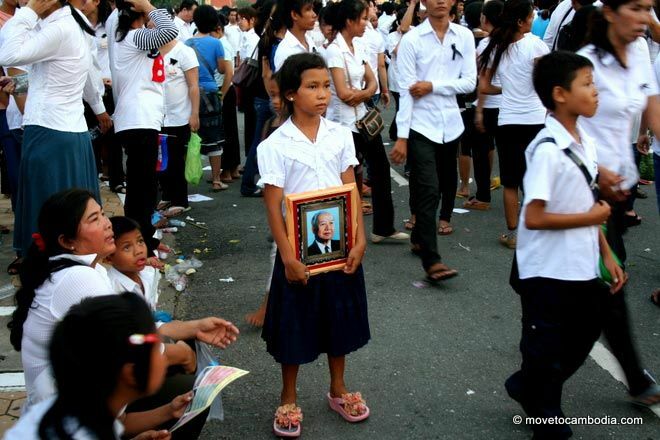 After the casket was transported into the palace, a young Cambodian girl holds a framed photograph of King Father Norodom Sihanouk outside. 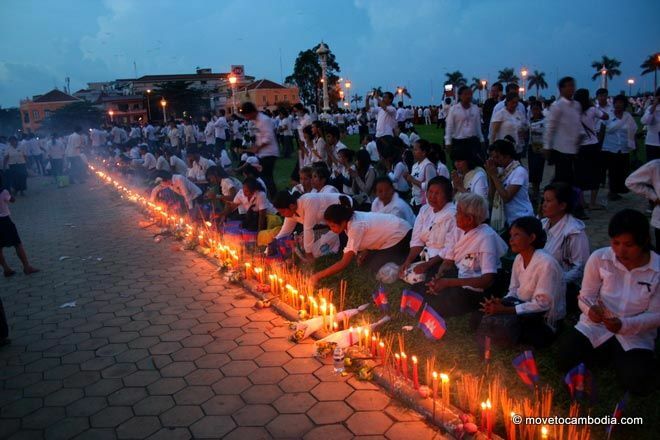 An impromptu memorial as Cambodians plant flags, candles and joss sticks in the park outside the Royal Palace. 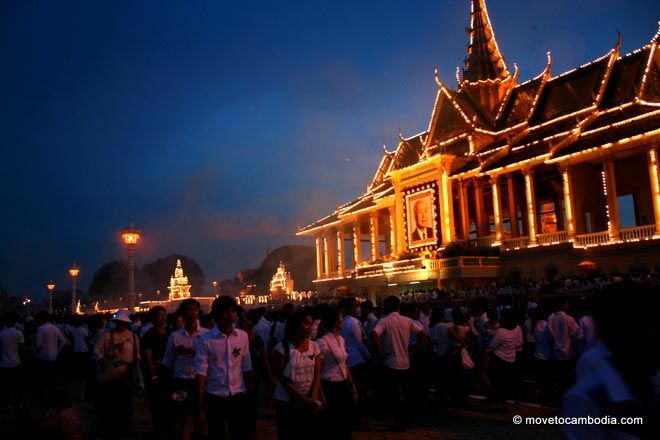 At dusk the lights on the Royal Palace went on and the air was heavy with incense. As night falls and prayers finish up, the crowd starts to head home. You can see the rest of the photo series here. 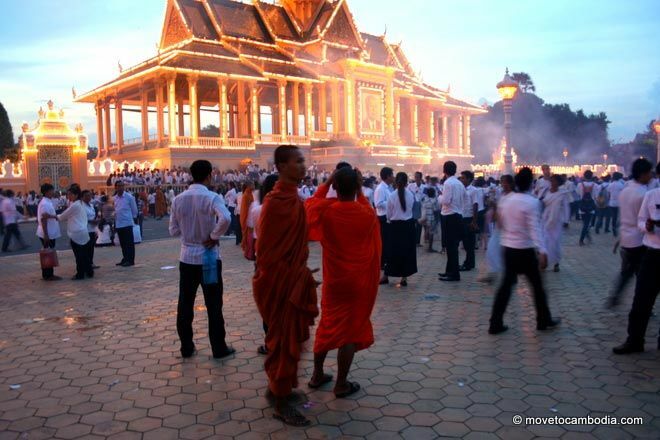 This entry was posted in Photographs and tagged Cambodian royal family, Norodom Sihanouk, Royal Palace. Bookmark the permalink.